A recent piece in the Wall Street Journal Logistics Report highlighted how rising logistics costs are squeezing the food and beverage industry. With the increased cost of moving goods, food and beverage companies are being forced to increase the price of their products to maintain their profit margins. But in a world of heightened competition and rapidly-shifting consumer demand, increasing price carries its own risks. So, what can companies do to try to operate more efficiently, keeping costs low and service levels high? Many of the world’s most successful food and beverage companies are turning to supply chain design to gain a complete end-to-end view of their supply chain networks to uncover inefficiencies and optimize for significant improvement in cost, service, and risk. Here is how these companies are using transportation optimization, inventory optimization and demand modeling as part of their supply chain design strategy to tackle the price factor head-on. So why are transportation costs increasing? There are several factors at play, including omni-channel fulfillment forcing companies to rely heavily on parcel carriers, employing drop-shipping and offering faster delivery times. While external factors may impact costs, employing transportation optimization can enable companies to define efficient routes, reduce landed cost, optimize mix and mode, and test service levels. You can also ask questions and test strategies within the safe confines of your own data-backed model, before real-world implementation. Should we be leveraging multi-stop routes, utilizing a hub-and-spoke model, considering private fleets, etc.? With an end-to-end view of your network and a living, digital model, you can identify the right solutions to meet your KPIs and service goals. What’s the only thing worse than holding too much inventory? Stock-outs. Both are bad for business. With freshness concerns for the food and beverage industry, holding too much inventory can be costly and wasteful, but with increased competition, you don’t want to force your customer to try a competitor’s brand. By leveraging inventory optimization technology, you can simultaneously optimize inventory across all tiers of the supply chain. By asking what-if questions and running scenario analyses, you can not only find the right balance in inventory levels and placement but also create automated and repeatable processes to optimize cost while considering customer service levels and company goals. Customer demand is volatile, so a ‘set it and forget it’ strategy is destined to fail. How can you get ahead of the game and create a more agile environment to best respond to changing demand? Demand modeling technology. Incorporating demand modeling into your supply chain design process creates better demand signals for a better supply chain design. Machine learning algorithms predict future demand by incorporating causal factors including seasonality, weather, and economic indicators. Then you can more accurately predict demand for short, medium and long-term horizons as part of your supply chain design process. In an increasingly competitive food and beverage market, maintaining profit margins is no small feat, but by employing a smart supply chain optimization strategy, you can protect your bottom line, while keeping customers happy. 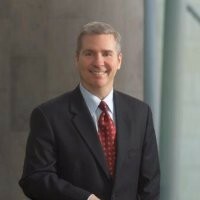 Bob McFarland is Executive Vice President, Global Sales & Marketing at LLamasoft, where he focuses on driving customer and team success by understanding customer needs and identifying the right supply chain design strategies and solution to best drive enterprise improvement. McFarland has a deep understanding of how to successfully build and lead high performance sales teams and has developed and led high growth strategies in companies of all sizes from start-up to multinational organizations.